IN THE GAZA STRIP — This is not my first time in Gaza, but it is my first time here during a military operation. It is disorienting. The distances are so close. 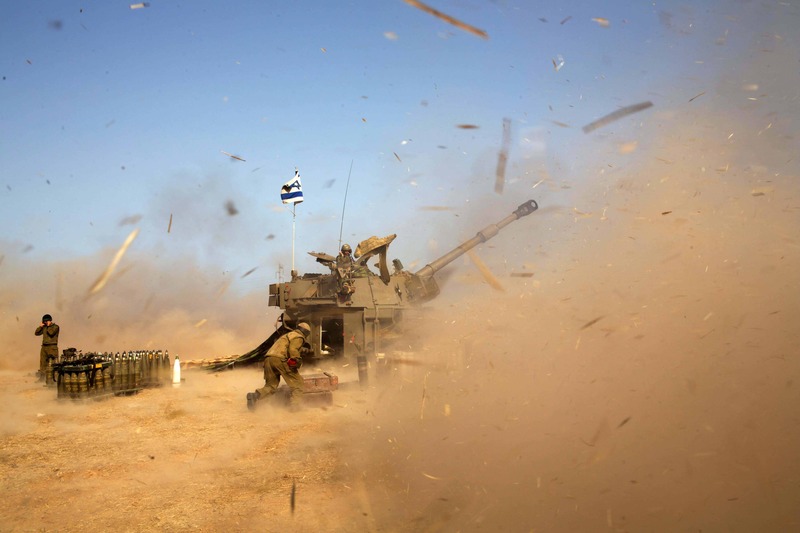 The Gaza militants lob rockets from palm groves and melon fields as you’re driving by. “Oh, look, another one,” you think. You get out of the car, take an iPhone photo of the vapor trail and start counting — one Mississippi, two Mississippi — as you would for lightning, followed by a thunder clap, to gauge distance. But in this case you’re counting to hear whether the rocket is intercepted by Israel’s Iron Dome (kind of a puff sound, with white smoke) or lands just over the Gaza border in Sderot (more of a concussion) or is far, far away and cannot be heard. It is a very aural military operation, too. There are many whooshes, kabooms, window rattlings and thuds you can feel in your teeth. But mostly there is a constant whine, like mosquitoes in a small room. These are the Israeli drones. Rocket. Outgoing. Close. A child told me: “Grad.” I wrote it down in my notebook. He was probably about 8.